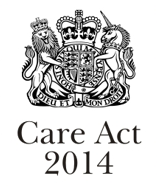 The Care Act 2014 is the most significant change in social care law for 60 years. It applies to England and replaces a host of out-of-date and often confusing care laws. The legislation sets out how people’s care and support needs should be met and introduces the right to an assessment for anyone, including carers and self-funders, in need of support. What is the most important change? The act’s “wellbeing principle” spells out a local authority’s duty to ensure people’s wellbeing is at the centre of all it does. There will be more emphasis on outcomes and helping people to connect with their local community. Also, for the first time, people’s eligibility for services will be the same across England. Another first is that councils are now allowed to contract out social work functions such as assessment. Why was the Care Act introduced? The changes aim to enable people to have more control over their own lives. Support should be less about firefighting and more about prevention, with the ultimate goal of helping people stay independent. There should be greater choice and flexibility in how clients are able to access their care rather than previously prescribed methods. Local councils’ new duty to promote people’s wellbeing will now apply not just to users of services, but also to carers. And not only to carers of adults: a corresponding duty in respect of parent carers of disabled under-18s has been included in the Children and Families Act 2014, which was proceeding in parallel. People receiving care and support from a regulated provider and arranged by their council, whether in a residential setting or at home, will now be covered by the Human Rights Act. However, the provision will not apply to people paying for their own care. Councils must now enable people to access independent financial advice to help steer them through the complexities of care funding. Such advice must be accessible to all, so it cannot be simply online, and must be “proportionate” to an individual’s needs, including advocacy where appropriate. For the first time, there will be a system by which people may appeal against council decisions on eligibility and funding for care and support. The details of the system will be set out in regulations, but it will be independent and ministers will have authority to make its decisions binding. Unfortunately the sad reality is that implementation of the Care Act is not a straightforward process particularly with a backdrop of austerity and diminishing budgets to local authorities. There are ongoing challenges due to scarce resources and having previously worked as public sector social worker’s, we know all too well the implications of work overload and the detrimental impact upon quality of work; as well as the ongoing practice of funding panels which have been deemed unlawful.